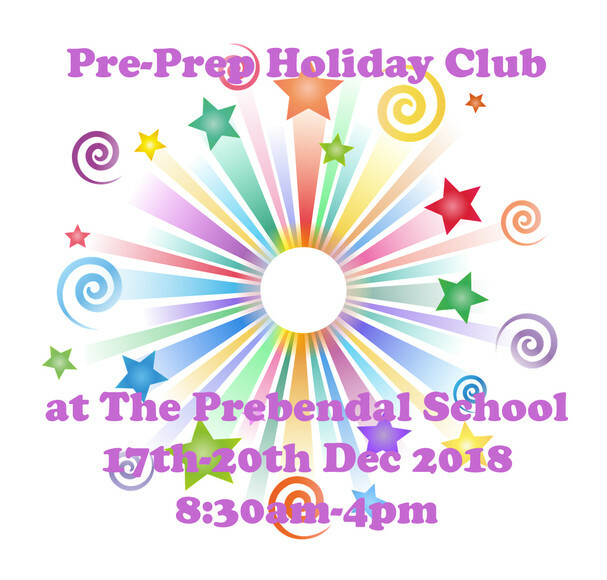 Book now for our fantastic Pre-Prep Holiday Club which takes place from Monday 17th to Thursday 20th December 2018. This Holiday Club is from 8:30am until 4pm each day and is for children in Reception, Year 1 and Year 2. It is for both Prebendal and external families. Children will be taking part in a range of exciting activities including sport, games, drama and art. It is £35 per day (full days only) or £125 for all four days. Bookings are now being taken so book your child's place today by emailing us at marketing@prebendalschool.org.uk or contacting us directly on 01243 520974.